“Everyone should work for themselves at one time in their life. That is how you learn how money is created” states Hemant Verma, Co-founder and CTO of Goodly. A member of the StartOut Growth Lab’s third cohort, Goodly was founded last April, committed to the mission of providing a platform for businesses to offer assistance to any employee burdened with student loans as an HR benefit. The genesis of the company was conceived by CEO and Co-founder Greg Poulin who, while faced with a family tragedy, was faced with paying off $80,000 in student loans with monthly payments that were close to $1,000. After his graduation, prospective employers tried to lure both Poulin and Verma into their fold with “benefits” such as gym memberships, catered meals, and chair massages. Instead, Poulin and Verma created a system that allows companies to help subsidize student loan payments much like a 401(K) that is designed to yield financial freedom and empowerment for current and prospective employees. Determined and focused, the team at Goodly raised $120,000 of seed investment and brought a number of exciting companies onto their platform. Additionally, they have been marketing themselves aggressively to the press with favorable coverable on Inc., TechCrunch, Business Insider and soon to be Wall Street Journal. Verma and Poulin are on a mission to help the present and future generation to pay off their debts. Additionally, their business is a benefit to organizations who are challenged in capitalizing on the diversity of their recruiting pipeline. 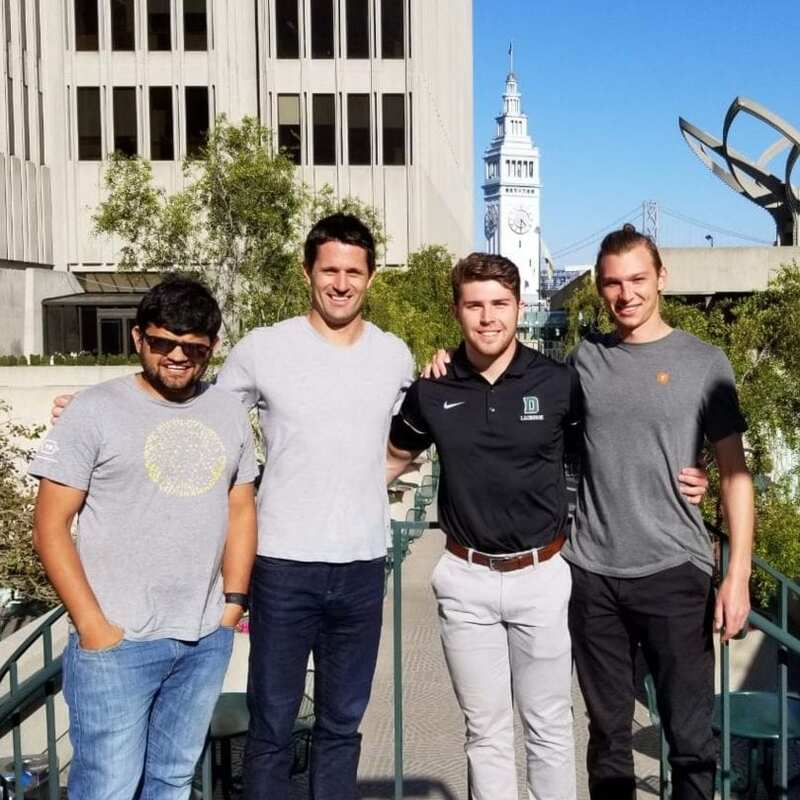 Poulin states in TechCrunch, ” it’s also a way to help discover a more diverse talent pool as it surfaces up underrepresented parts of the population that are acutely dealing with student debt as a factor in their decision-making”. As their business expands, Poulin and Verma are committed to building a strong culture. Verma believes ” the best ideas come from different opinions”. In a building a successful startup, Verma advises ” move quickly…get things done as fast as possible. Most importantly have patience”. To learn more about Goodly, go to https://www.goodlyapp.com or follow their accomplishments and growth on Twitter.